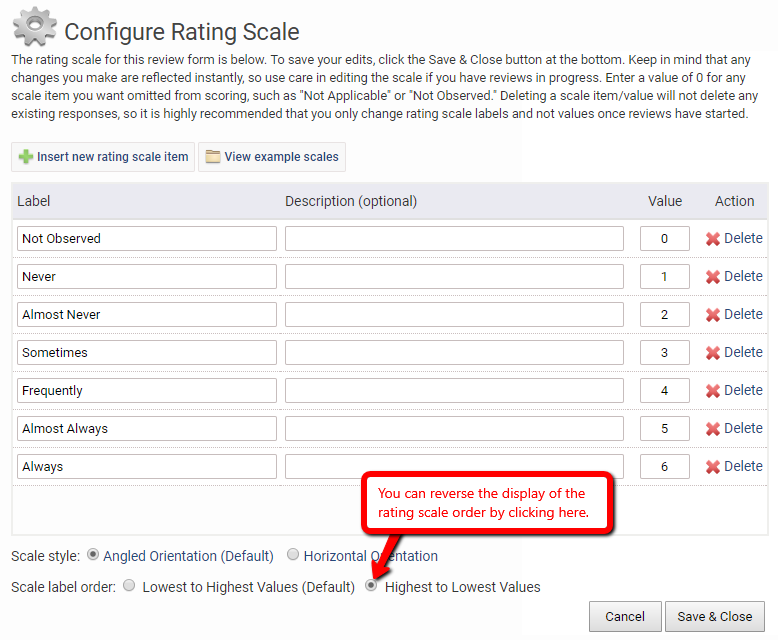 You can choose to reverse the display of the rating scale order so that the values appear highest to lowest as Raters complete their reviews. The graphs in your reports will still display values from low to high. From the drop-down menu, select Setup>> Rating Scale. Select the radio button for “Highest to Lowest Values” next to Scale label order.